Can someone explain to me why game changers no longer get info released to them early and they roll out their videos when the info is release? Was it because of leaks? I feel like the excitement of roll outs has dwindled because I’d immediately watch a video and get excited. Too each their own but was curious what happened. 1: Some game changers started leaking planned content, intentionally or accidentally. This is what initially caused the game changer accounts to be shut down and reverted to a worse version. 2. They don’t want people to know how good or bad a toon is ahead of time. How many people do you think would have invested in Grievous if they knew a few days ahead of time how hard he ****? The less people know, the more they will spend. 3. 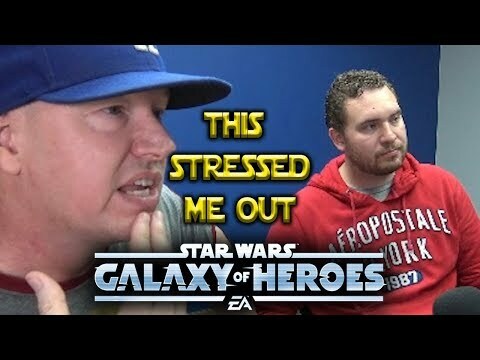 Game changers were very negative with the release of Jedi Revan... opening packs and dreading every minute and talking about how it gave them that same buzz that addictions give. 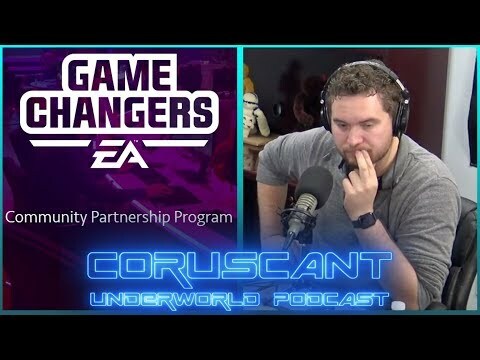 CG/EA was very upset about the negativity from Game Changers surrounding Jedi Revan’s release. So they are on probation basically haha. Oh wow. That’s kinda crappy. Here’s the video I’m talking about but the sentiment was pretty widespread. I heard a game changer talking about it on YouTube live. Leaks also had something to do with it but I tend to think the negativity was a bigger deal. It was on a live YouTube stream months ago. I’m not wading through all them to find the guy talk about it. By the way I said “probation basically haha”. You misquoted me a bit. they were in the doghouse after Revan. Dismiss it if you want. It’s true. I think it's because I wore a pair of Birkenstocks on stream. So "probation basically haha” is part of the statement that is true? I'm not really sure what this is supposed to mean or how it strengthens your statement. It seems irrelevant. I thought I was doing you a favor by leaving it out. Revan and the leaks lined up pretty close to each other. I'm just trying to understand where you're getting information that CG cared about the negativity (which was pretty mild) that much as opposed to the leaks which probably cost them real money in the form of changed plans. I have nothing to prove either one and I'm not claiming you're wrong. Just asking for sources. Very good speculation, as i agree with it.... but speculation and nothing more. #1 is correct. Leaks caused the changer program accounts to go down. I don't care why it is, it's a good change. The first place information is posted should *always* be through an official channel, people shouldn't have to go to some random yahoo's youtube channel to find information releases. Its on a CUP podcast. Ahnoldt101 talks about it months ago and the Non Disclosure agreement being potentially tweaked. Warriors talked about it. But if you watch the video... especially the end it makes it sound like me cutting off my leg is less painful than spending $400 on Revan. MG opened the packs dreading every single opening... not even watching (too painful) and felt a *buzz*. CG wants their product painted in a positive light. Dreading every second of the torture of spending $400 opening packs upset CG and who can blame them to an extent. If I have a product and begin a partnership with others and they portray my product with astonishing negativity... I’m re-examining that partnership. Its not a good look... but having seen the live streams... im not recalling confirmation of a negative review causing the pull. I do recall several of them mentioning leaks and nda violation causing the pull. That said... i too would re-examine the relationship after MG did the pack opening video. Also... id re-examine those packs as that is a real bad look and its due to the way those packs work. And lastly, MG waited to last minute and paid dearly.... most whales and f2p were not doing it that way. I watched the whole video. Still seems very mild. In fact, if I were a whale, I'd love it. Keep the F2P and dolphins from attempting to get Revan. I'm sure CG has, or has access to, marketing professionals that would have told them that this video isn't something to get upset about. I'm not sure what is "on a CUP podcast" or what "Warrior talked about." And without better citation I'm not going to go digging. I believe ShaggyB's perspective is probably closer to the truth. Leaks were the likely cause. Here’s the video from 4 months ago. I am admittedly being more dogmatic about it than they are. And it probably is a combination of several things but I still lean towards the GC reaction during Revan being the biggest factor. "[the Game Changers program] did get suspended because of leaks, that's 100% certain"
"I know for sure it's not because of [Mobile Gamer's video]"
Two direct quotes from the video. I should link Reality Skewed Gamers live stream from when Revan was revealed. Favorite video of all time haha. I think they said every curse word in the English language. Can’t blame em. Well as long as you’re back in time for your podcast. because nothing gets us excited more than hearing and watching someone read the info we just read for ourselves! Turned out great for me. I’m the only one in my entire shard running GG and finishing 1st every night. Shardmates tell me it’s a fun team to face with their Revans because 1) it’s not Revan, and 2) if they don’t attack it just right they lose. I see this a lot, and while I agree lootboxes are terrible for the consumer, they are more than a little different than gambling at a casino, at least these ones, and that’s because the goals are different. The goal of gambling is to win and/or leave with more money than you entered. There is a very real possibility that no matter how much money you spend, you will not achieve either of those goals. In fact, the second becomes less likely the more you spend. There are no guarantees. In the cases of this game’s lootboxes, your goal is to get enough shards to max out the character(s). You spend enough money, and that is guaranteed to happen. If you open enough marquee packs, you WILL get a 7 starred character. That’s not a gamble. It WILL happen. There are no lootboxes, as far as I’m aware, where the thing you want may or may not drop, just more or less of the thing you want. Arguably chromium packs don’t follow this, as you could open thousands and theoretically the one character you want would never drop, but those aren’t the things in question. The buzz and apprehension described in that video, which I also watched when it was released, could just as easily be explained by the fact that he’s spending way more money on something, in particular on something he probably doesn’t perceive as containing that much value, than his usual comfort zone. I felt a buzz and apprehension when I bought my house. That doesn’t mean buying a house is like gambling. All that said, lootboxes, even ones like these, are terrible for games and I hate that I otherwise enjoy the rest of this game enough to deal with them. Unpopular opinion I know, but I find I enjoy the GCers a great deal more now that I know they're not getting preferential treatment any longer. I even watch some of their videos now (not the shameless 15 minute read a kit I can read for myself stuff though), and find them somewhat amusing in a certain way. Before, I refused to watch anything on any GC channel out of sheer obstinate refusal to endorse the program.